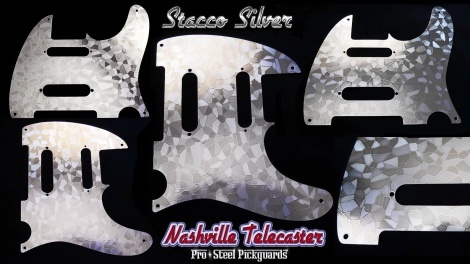 This Stacco Silver guard is made per order, please allow 3 days. FITS - Genuine Fender USA or MiM Nashville Telecasters: Standard, Deluxe, Power Tele's. Or any Standard Telecaster routed for a middle pickup.